It has been a hundred years since the guns fell silent on that cold and bitter November day in Europe. The sound of silence had to have been deafening to the men who survived the last desperate bombardments that churned up the French countryside for the last time. The War to End All Wars was coming to a close but only on the land. What about the powerful forces of the German Navy? 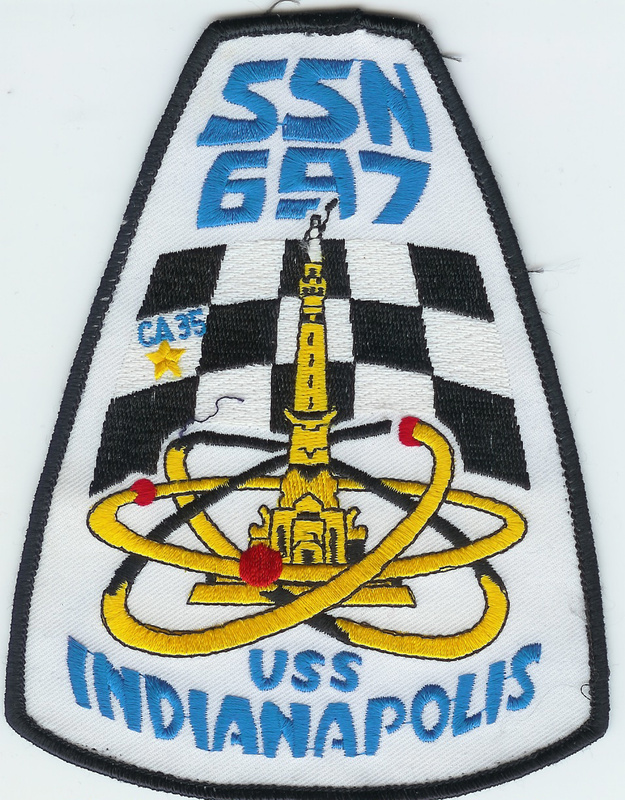 This story captures the end of the naval war and the end of the submarine campaign. Up until this day, German submarines had wreaked havoc in the Atlantic. The German fleet was largely intact even though it was affected by the same suffering of the people at home. 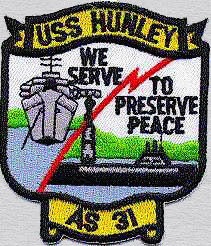 The submarine force was still a potent threat. U- Boat is the abbreviation of ‘unterseeboot’, which when translated into English means ‘undersea boat’. When the First World War began the German Navy possessed 29 U-Boats. The Imperial Navy had rejected submarines as a distraction in 1900 and were more inclined to follow the traditional growth patterns of the navy’s of their day. The main focus was on large gun bearing ships that would be able to slug it out with their English counterpart in dramatic open ocean battles. In fact, one of the most dramatic surface engagements of all time was a fulfillment of that vision. But the little U boats would have a profound impact on the conduct of the war and were the main weapon that nearly brought England to her knees. England is highly dependent on other sources for food, fuel and raw materials and the German U-Boats were responsible for destroying around half of all the food and supplies transported by the British Merchant Navy. In the first 10 weeks of the war they sank five British cruisers. Between October 1916 and January 1917 a grand total of 1.4 million tons of allied shipping was lost to the U-Boats. These losses were eventually curtailed when the allies introduced escorted convoys with merchant ships surrounded by military vessels. During WW1 Germany built 360 U-Boat submarines, 178 of which were lost. In total they were responsible for the loss of more than 11 million tons of allied shipping. 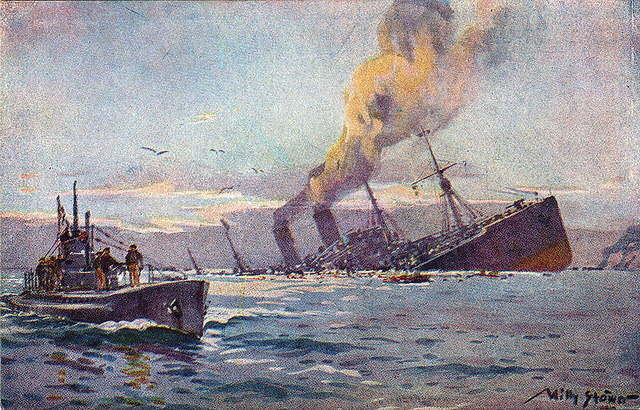 The German Navy’s U-boats were also instrumental in the sinking of the passenger liner and auxiliary cruiser, the RMS Lusitania on 7 May 1915, which was one of the main events that led to the United States joining the war two years later in 1917. This operation resulted from the exchange of diplomatic notes, beginning on 5 October 1918, between the new German government under Prince Max of Baden and President Woodrow Wilson, in which Germany asked the President to mediate an armistice. One of Wilson’s preconditions was the cessation of Germany’s submarine war. Despite the objections of Admiral Scheer, the Chief of the German Admiralty Staff, the German Government made this concession on 20 October. The U-boats at sea were recalled on 21 October. In response, on 22 October Scheer ordered Admiral Hipper, commander of the High Seas Fleet, to prepare for an attack on the British fleet, utilizing the main battle fleet, reinforced by the newly available U-boats. Hipper’s order was promulgated on 24 October; Scheer approved it on 27 October. The Fleet then began to concentrate at Schillig Roads off Wilhelmshaven to prepare for the battle. The German fleet still possessed a large capacity to inflict damage. The new availability of the U boats to support the operation was of great value to the commanders of the fleet. The boats would be able to penetrate English territory, broadcast their movement and create havoc by sinking the deploying fleets as they came into the channel. The plan called for 25 U-boats to be deployed in six lines in the southern North Sea, in the hope of ambushing British ships sailing to counter-attack the German Fleet raiding forces. Other U-boats were to undertake special operations involving British Naval Bases. 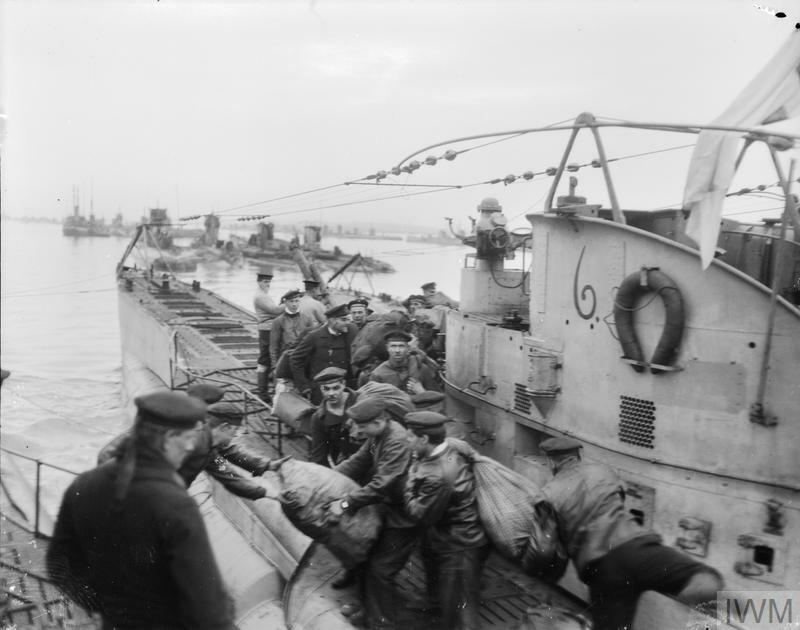 On 23 October seven U-boats at large in the North Sea (U-108, UB-86, UB-121, UB-125, UB-96, UC-58 and U-60) were diverted by wireless signals to take up positions off Rosyth, in order to give the alarm when the British Fleet sailed, and hopefully launch attacks. In addition, U-43, also at sea, was directed to take up a watching position near the Tyne. Starting on 24 October, the other U-boats began departing from their base at Heligoland to their patrol areas. Two of these U-boats were lost. 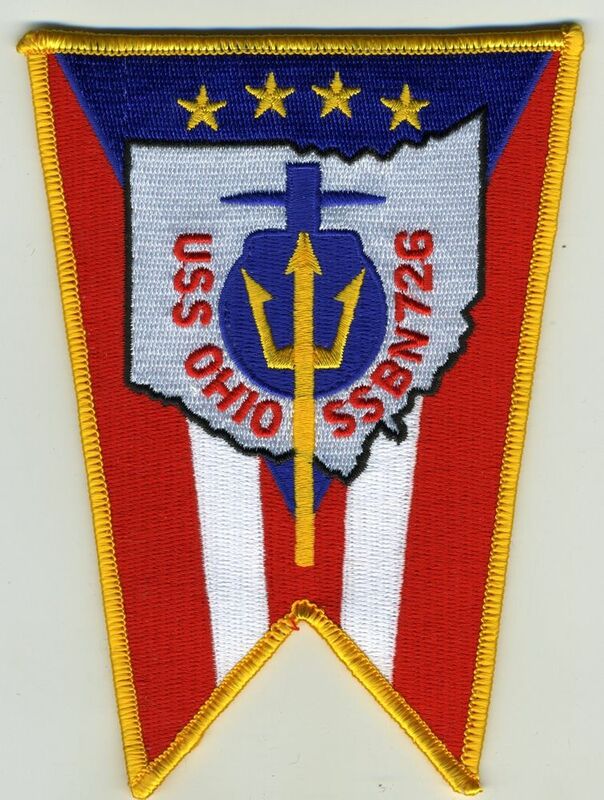 The first, U-78 (Oblt. Johann Vollbrecht), sailed on 27 October from Heligoland for a minelaying mission off the Scottish East Coast, but she was torpedoed and sunk the same day by the British submarine G2 in the central North Sea, roughly 280 nautical miles (520 km; 320 mi) east of the Firth of Forth. All 40 crewmen were lost. The other submarine to be sunk was UB-116, which sailed from Heligoland on 25 October with special orders to attack the British fleet anchorage at Scapa Flow. She was commanded by the 26-year-old Oberleutnant zur See Hans Joachim Emsmann who, since first becoming a U-boat captain in February 1918, had sunk a total of 26 ships. She attempted to enter Scapa Flow submerged by the southern passage, Hoxa Sound, on the evening of 28 October. Hydrophones mounted ashore at Stanger Head, Flotta, alerted the British defenses, and the sea-bed magnetometer loops, designed to detect the magnetic signatures of incoming vessels and thus trigger remote-controlled mines, were activated. Emsmann raised his periscope at 11:30 pm, presumably to check his position, and was spotted by look-outs on shore; the mines detonated shortly thereafter, leaving the submarine disabled on the sea bed. She was finished off by depth charges from defense trawlers shortly thereafter; all 37 crew members were lost. Two other submarines, UB-98 and UB-118 were damaged in collision with each other on 28 October, and had to return to port. Two others, UB-87 and UB-130 also aborted their missions due to breakdowns. The remaining fleet faced difficulties of its own. Sailors on most of the German ships were in a rebellious mood. The news of the defeats on land and the entry of America into the war had made their plight untenable. Families at home relayed stories of mass starvation and privation and the thought of this desperate attack this late in the war was madness. There were mutinies on many of the ships and in the end the plan was cancelled. “It was on the 11th of November, 1918, at 11 o’clock A.M. — eleventh month, eleventh day, eleventh hour the newspapers pointed out — that the World War was brought to an end by the signing of the armistice at General Foch’s headquarters at La Capelle. German delegates had been brought, blindfolded, through the Allied lines the night before, for requests from Germany for a cessation of hostilities during the peace negotiations had been sternly refused. Foch had the enemy on the run and was in no mood to yield any shred of his advantage. It was an army peace, of course, and in the negotiations the navy had no share, although Vice Admiral Sir Rosslyn Wemyss, First Lord of the British Admiralty, and Vice Admiral William S. Sims were present. The immediate surrender to the Allies and the United States of all German submarines, including mine-layers. The internment and disarmament of practically all the German surface men-of-war to await the action of the peace conference and their final disposition by treaty. All German aircraft to be concentrated and demobilized at specified places. Indication to the Allies and the United States of the location of all mines that the seas might be cleared of mine-fields. Opening of the Baltic to all nations. Evacuation of all Belgian ports and surrender of all vessels of every class therein. The announcement by the Germans to the world of the abandonment of submarine warfare, and the conclusion of the war upon the sea. In accordance with these terms of the armistice the chill and desolate harbor of Scapa Flow in the Orkneys was fixed as the place of internment for the German surface fleet. The surrender was ordered for November 20, 1918. Before the main fleet was turned over to the combined naval forces of England, France and the United States the first twenty submarines were delivered to Rear Admiral Tyrwhitt off Harwich at sunrise on that day. The British force that received the surrender of these sinister underwater boats consisted of five light cruisers and twenty destroyers. A big observation balloon hung over the fleet and as the ceremony took place at early dawn the picturesqueness of the occasion was added to by the sun rising in the east, while a great white moon still shone in the west. No chances were taken on the British vessels. The paravanes were rigged outboard to divert any mines that might be drifting in the neighborhood. Officers and men put on their life-belts, and as the enemy appeared in the offing the gun crews went to their stations as though it were a battle, not an abject surrender, for which preparations were making. No flags flew over the enemy vessels as they steamed sullenly out from their coast, but strips of bunting flying from the British flagship gave them the peremptory order to fall in line and follow the British lead. They obeyed. From every vessel of the victorious squadron sharp eyes watched the defeated foe. Once two carrier pigeons were seen to rise from the tower of a submarine, and instantly a signal was flashed forbidding any repetition of this effort to communicate with the land they had left. Off Harwich the whole fleet came to anchor. Two German light cruisers had accompanied the enemy fleet and to them the German sailors from each submarine were transferred. As the boats were thus abandoned white flags were run up on each with the German ensign below, and they were towed into the tidal basin at Harwich. The whole ceremony was conducted without any manifestation of triumph, and indeed in almost complete silence. The German submarines that were surrendered were meant for destruction but not before the victors in turn took a chance to see the technology that had wreaked so much havoc. Five of the boats ended up in American hands for a while. Improvements based on those discoveries were blended into American submarine technology. Despite the intent of the British to ban all submarine warfare in the naval treaties that were about to be written, submarine warfare survived. The technology, operations, and innovation would lead to a leap forward for the American Navy that prepared it for a surprising role in the Second World War.